His name is Enzo Amato and he is a photographer from Naples who has been based in Sydney for the past 16 years. Amato studied at the Institute of Applied Arts in Naples and has since focused on commercial and editorial photography. He collaborates with creative agencies, public institutions, NGOs and large to small enterprises. He has established himself as a highly sought after photographer specialising in media, PR, corporate portraiture, events and experiential marketing campaigns. His portfolio is also overflowing with personal art projects which are documentary in style, an interest that stemmed from his chronicling the fall of the Berlin Wall in 1989. His works capture the spontaneity and energy of a fleeting moment between subjects and events. Moments that can only be captured once never to be repeated. Amato is witness and uses his apparel to document a type of historical archive. He often photographs street artists, itself a non-permanent, usually fleeting, by-night art-form, Amato appears to be interested in documenting that which is ephemeral. He has now embarked on a new series: The Cuba Street Art Project. A country embarking on great political change, and a country whose people are renowned for using the medium of street art to express their cultural and socio-political views. At the end of 2016, Amato travelled through Cuba to document the juxtaposition of the old and the new, the Cuba that was and the Cuba that will be, and presented his subsequent series in an exhibition in Sydney and a public installation in Los Angeles with Month Of Photography Los Angeles and Standard Vision. Who inspires you? My father. He was my first sponsor buying me all my first cameras and equipment from Olympus to Nikon. He was my greatest fan. He died in my early 30s, but I have kept every camera he bought me over my life. Who is a photographer that you admire? Henri Cartier-Bresson. I admire him because of the way in which he captures the reality of life. Do you consider yourself a success? I feel I haven’t achieved all my goals. 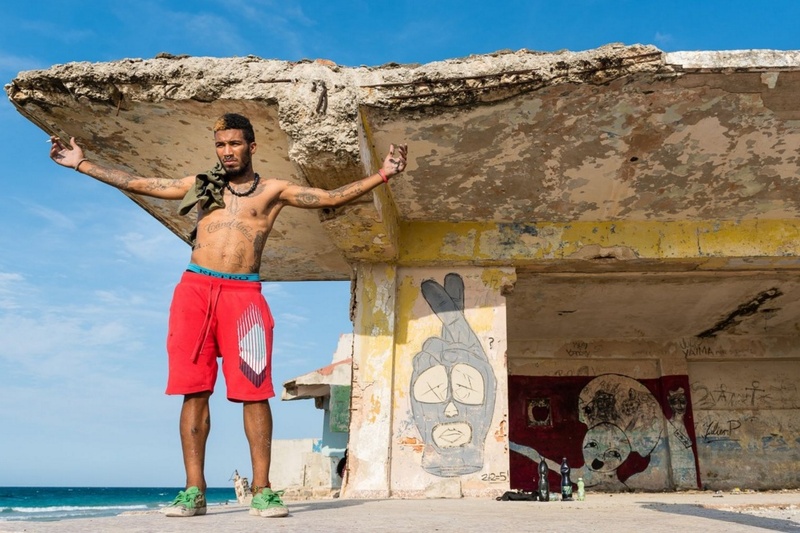 The Cuban Street Art Project is one of them. I'd (also) like to go back to Berlin and do an "after 25 years" post war reportage. Why Cuba? I’ve always wanted to go to Cuba – it’s a bit exotic, artistic culturally and feels like it's frozen in time. Now the borders have opened, everything is going to change quickly and I'd like to capture the change before it becomes completely different. Do you think it is important to have gone to art school? Do you think that it is important to study photography formally? No, but it has certainly given me a base and understanding of the art world and actually made me deepen my learning. It is great to assist a photographer to get an understanding of the industry. There are so many kinds of photography and specialization that you don't need to assist to learn but certainly to work with an experienced person it helps to gain a real insight into the industry. When I first started you had to go to the library to find out technical information. People can now go on You Tube to do tutorials on everything from how to shoot fireworks to taking photos of pets. Do you have a gallery? No but I have lots of contacts in the art world. I’ve been working with Ambush Gallery (Sydney) who are a big promoter of contemporary street art and they’re a big supporter of my work which is humbling. What do you think a gallery might provide you that you can't do yourself? Lots of connections and great support for my work through social media. Social media has placed photography in the spotlight with many people discovering a passion for photography that they may never have previously discovered. What do you think of this phenomenon? Of course everyone has a camera in their hands these days. Technology is so advanced people can make excellent photos without being formally trained, however to be a professional photographer it is fundamental to have skill in composition and design, which you learn with time, experience and your own innate creativity, At the end of the day photography is an art. Do you print your own works? I used to print B&W and colour, but not any more. These days I just pick my preferred work and send it to the lab. What are the limitations of being a photographer? There are none. It’s limitless. What advice do you give to emerging photographers today? To be passionate first and persistent second. It’s easy to become a photographer, difficult to be one. Photos copyright and courtesy of Enzo Amato.